That's right, where did the time not go is more like it. Welcome to Motherhood and life in general. New changes have just begun for our family literally today and it looks very promising. When your husband comes home happy from his training for a new position, I would say that makes for a great outlook. Our family has always dealt with a schedule that is not of the norm when it has come to my husbands work, which has made for a not so normal routine for the rest of us within the home. That all is changing and I am very excited, especially since I have always liked the company that he works for. At the beginning of each year we always hear about New Year's Resolutions. I think it is great to have a goal in mind, but it is even more important to have a plan and then to execute it. For instance exercise is very important to me and I could say that I want to exercise even more this year. But, I like to have a plan to go along with my goals. Last year was great in the workout department and this year I do hope to stretch it even more including my kids in a lot of the fun. YES, I schedule out my workouts! Another item of business on my agenda has been cutting down the GROCERY BILL. For this, I wanted to really focus on MEAL PLANNING, GARDENING and my FOOD STORAGE. One of my Christmas gifts was the set of cookbooks for 30 Meals in one Day. I absolutely love them and so many of the recipes in them. I have made a few of the freezer meals before with some friends and now I have my very own set. I have found that creating a menu plan for one to two weeks is what is best for my family. I am focused on only buying what is on my list and that is it. It takes determination, but it is very doable. With our nice backyard, I have decided that there is no reason to not a have a nice size garden. It will take a lot of time, but the rewards will be great and it will be a family affair during this venture. Food storage is always a great thing to have no matter what and so we will be building that up as well in a frugal manner, along with using my coupons. I have found a website that is pretty awesome and stumbled upon in time for the New Year! It is www.cozi.com and is a free organizing website. Trust me when I say you will not be disappointed. You can save recipes, create shopping lists, organize shedules and so much more. 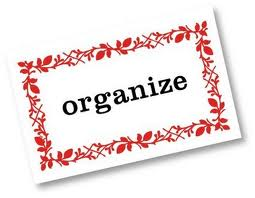 Thanks for the tip...always looking for new ways to organize!! You're welcome. I hope to help in that department a lot this year as I stumble across more tips! !